T-Rex are among the pioneers of modern effects pedals. 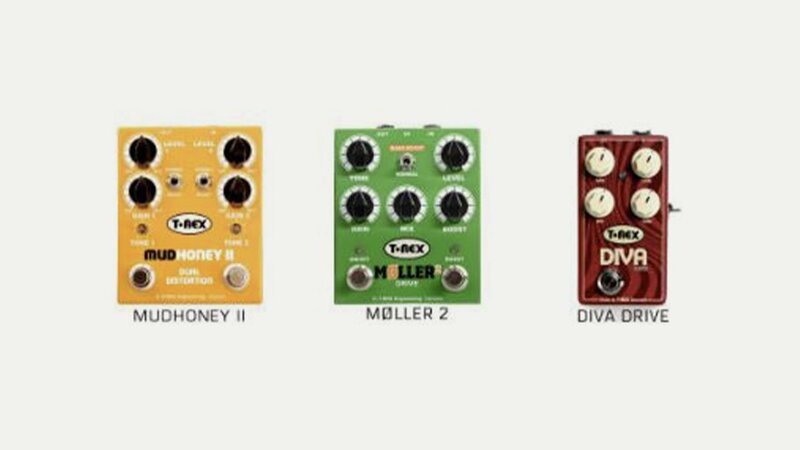 Based in Denmark they were established in 1996 and their product portfolio includes many industry classics like the Replica, the Mudhoney, the Fuel Tank series, as well as Tone Trunks. Artists include Steve Lukather (Toto), Marc Tremonti (Alter Bridge), Martin Gore (Depeche Mode), Carl Verheyen (Supertramp), Patrick Matera (Katy Perry) and Luke Potashnik (Katie Melua).